On May 17th, Daekyo Culture Foundation announced that it will be holding the 2018 Daekyo International 3D Symposium exhibition until August 31st, at Sangmyung University. 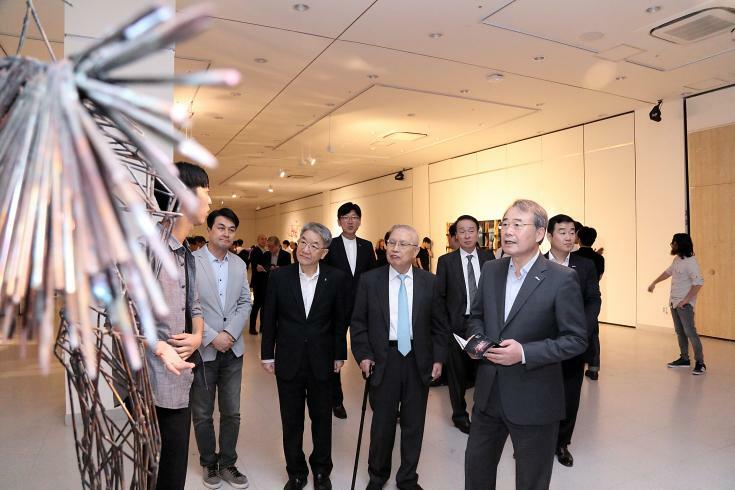 Kang Young Joong, Chairman of Daekyo Group and World Youth Culture Foundation, attended the Opening Ceremony which was held on May 17th, at Sangmyung University together with Chairman of Daekyo Culture Foundation Song Ja. ‘Daekyo International 3D Symposium’ is a culture and art support project in order to discover an unknown talented person and support their creative activity. This year, 9 students from domestic and two students from overseas were selected through a strictly impartial judging process. These 11 students used various materials such as leather, rubber, stainless steel, wood, stone and FRP for their art work. The final sculpture will be on display for the public to see at Sangmyung University until August 31st.